CLOSED FOR THE SEASON - THANKS FOR MAKING IT A GREAT ONE! SEE YOU NEXT SEASON! Glide along perfectly groomed trails, take in majestic views of the stunning Cascade Crest and realize that a day at the Nordic Center is winter recreation at its best. relaxing spot where you can grab a snack and catch up with friends and family upon your return to the trail head. TWILIGHT SNOWSHOE TOURS -Click here for all the info! 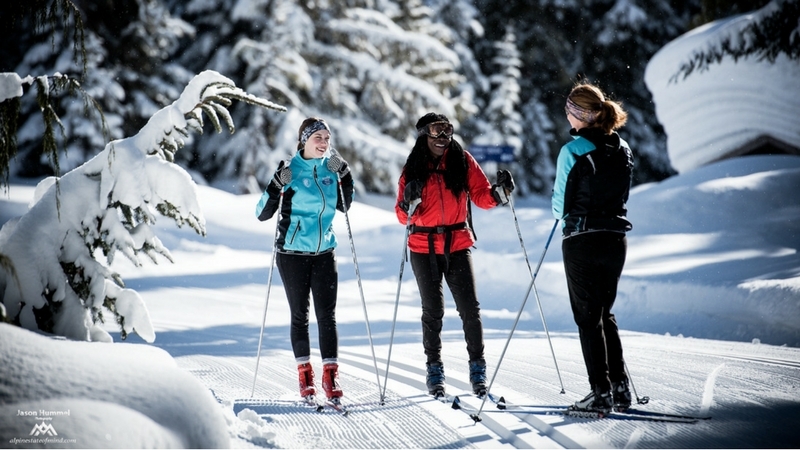 The White Pass Nordic Team is for the 6 – 18-year-old aspiring cross country athlete looking to develop their skills and push their skiing to the next level. The program runs for 12 sessions (mostly on Saturdays) from late December through Mid-March, with training from 9:30am - noon. The team travels to approximately 1-2 events per year (travel is optional). The focus will be primarily on classic cross-country skiing, with exposure to skate skiing as well. We will cover all aspects of the sport, from skiing and racing technique to ski waxing and equipment prep. Questions? Call coach Bridget Blethen at 509-421-0114. 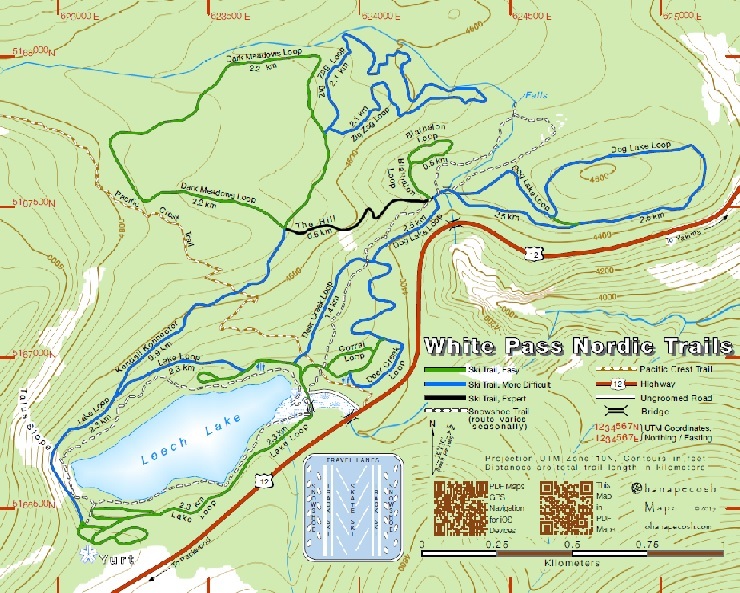 DOGGIE HOUR - White Pass Nordic Center allows leashed dogs beginning at 3:30 pm. 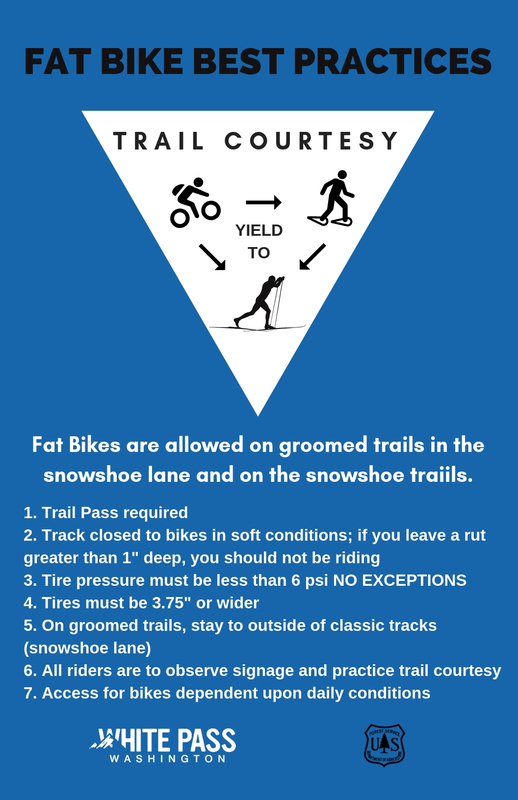 Dogs are not permitted on the track or snowshoe trails before that time. Let our expert instructors get you started! ,Fat Tire Bikes- $25/2hrs, Half Day 8:30-12:00 or 12:00-4:00 $40, Full Day 8:30-4:00 $55.